I finally settled on Diagonal Lace Socks by Wendy Knits and am really pleased with the combination of yarn and pattern. 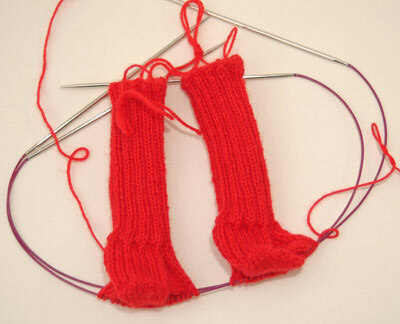 The construction of the sock is almost identical to David’s Toe up Sock Cookbook but without the maths so I’m using the pattern stitch & the maths from David’s pattern. They fit really well which is great as I was starting to think that this yarn was jinxed! These will be finished soon but not revealed fully until gifted. >I love your purple socks! They really look beautiful!